It is just as important to create new healthy habits, as it is to break free from old limiting ones. Steadily introducing regular, positive actions is essential if you want to see long-term improvement in your health and overall well-being. So easy, healthy, and super-delicious! This spread recipe is so versatile. You can use it on crackers, or in sandwiches. I prefer mine in a nori wrap, rolled with lots of shredded salad – Ideal if you are wheat free! Or you can just use it as a dip for various crudités – or stack between slices of tomato and cucumber and top with olives. Seb and I love this green juice at the moment, and have been having it at least once a day. 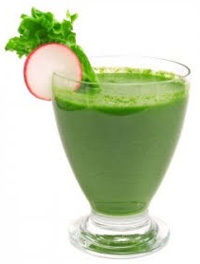 With the abundance of fresh, delicious local apples, cucumbers and courgettes everywhere, this green juice is perfect. Yum – Favourite Baobab Recipe! Wow – these baobab chocolate treats are top of my blissful-buzz list at the moment. FEWsteps – Frustrated with Life? Could distraction be the obstacle to your success? Are there things you’d like to be doing, but you’re not? Are there people you’d like to spend time with, but you don’t? Are there places you’d like to go, but haven’t? Are there things you really want, but haven’t got yet? Are there goals set, but few achieved? Are you wasting too much time on mindless tasks? Many of the Life Upgrade students learned about the importance of grounding this year and have been sharing their experiences with others, and so the awareness of what it means to be really grounded is becoming more widespread. The focus of the FEWsteps programme is to get maximum effects in your life, from the minimum amount of effort. We all want to be healthier and happier, but often there is just so much to do and so little time to do it. Using time wisely, and maximising on benefits is really essential. 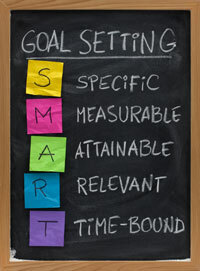 Goal setting is really dream getting. If you don’t set goals then you will never achieve your dreams. The mind works in such a way that you have to focus on what you want; most people focus on what they don’t want. When I got to 40 I realised that I was happier, healthier and had more energy than when I was in my 20s. 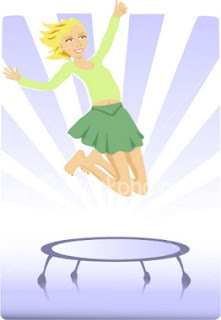 I set a goal then to have even more energy, vitality, wealth, health and happiness at 60 than at 40. Now that my mind knows what I am looking to achieve it can go about sorting the finer details, like how to make this happen. What is the next step you need to make today? What would be in the way of achieving that next step easily? Set the big goals, and also the smaller goals which focus on making all the little steps required. The FEWsteps programme is just getting under way. It was initially inspired by those of you who showed an interest in making this winter one in which you felt fitter, healthier and happier than ever before, rather than struggling with the usual winter blues. We decided that it would be a great opportunity for me to share lots of insights and information with you – things I often don’t get chance to cover in the course of a weekend’s workshop. Chia seed are an ancient superfood, a member of the sage family (Salvia Hispanica). Chia was once a staple of the Incan, Mayan and Aztec cultures, along with the Native Americans of the southwest.